Let's get ready for an amazing experience - scuba diving adventure in Malta - considered a diver's paradise and also a dream destination for underwater photography lovers! Do you like to visit new places and join outdoor activities? Do you like to swim, feel tempted to experience scuba diving and check the absolutely breathtaking beauty of underwater world? If you have an adventurous spirit, you have a good health/ medical condition and you are willing to learn scuba diving with a dedicated team, then Malta would be one of the best travel destinations where you can join scuba diving lessons and have your first meeting with underwater astonishing world. Here you can come as novice or beginner and leave as an experienced certified scuba diver - advised, assisted and trained by excellent and reliable diving instructors, while using best scuba diving equipment. So, be prepared with your first experience as scuba diver, to see and wear your scuba diving equipment (scuba diving mask, gear, fins) and eventually scuba diver watch and camera! 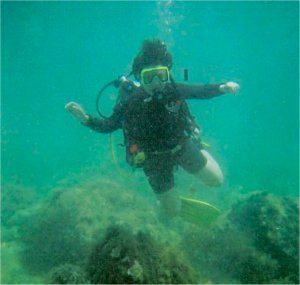 Now, can't wait for my new scuba diving experience! Have you ever traveled to Malta? situated in the middle of the Mediterranean sea. Malta is famous for its purest water, accessible diving sites, excellent visibility even up to 30 m in deep, spectacular underwater scenery revealed amongst caverns and crevices, turquoise and safety waters, amazing variety of colorful underwater flora and fauna, and… the wrecks of submerged ships and plains that became shelters for various species and gives a different perception to your underwater experience, making it more tempting. - The Tugboat Rozi, etc. Lots of amazing places and diving sites where you can learn or apply what you already know and enjoy your scuba diving adventure in Malta and its beautiful islands surrounded by Mediterranean sea. My first encounter with scuba diving was about 7 years ago and was an absolutely unique and amazing experience that I’ll never forget, and will treasure always in my mind. Prior to reach to Malta, being passionate about traveling and discovering new places, while browsing the internet I had the chance to hear about Frankie and his involvement in Maltese tourism activities. So, exchanging few messages with Frankie – owner at Frankie’s Gozo Diving Centre – I decided to take the “Maltese diving experience” and was one of the best decisions that I ever made. These people do love what they are doing! Interested to experience scuba diving in Malta?